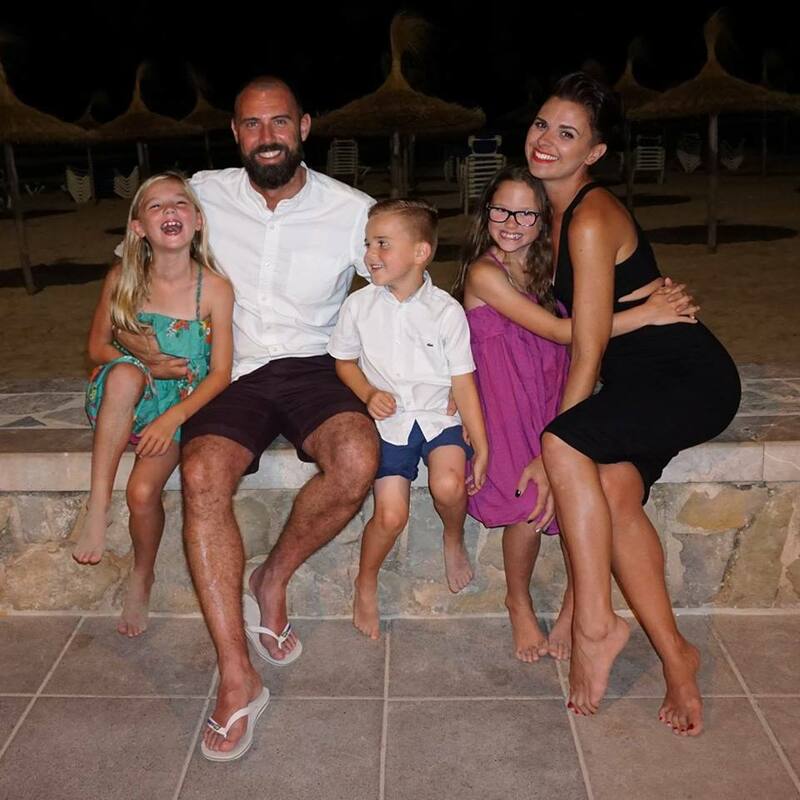 Mummy, Wife and Chaos: Shopping Haul... Primark Trainer Wedges, Denim Shirts and more! 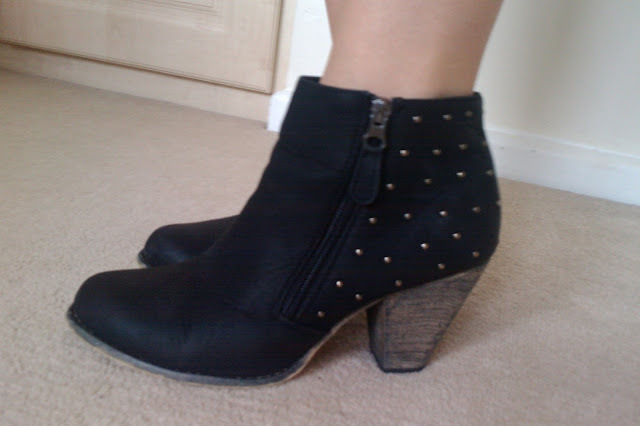 Shopping Haul... Primark Trainer Wedges, Denim Shirts and more! So after a day of trying I have finally managed to get the photo's of my ancient phone and on to the laptop! Below are a few old bits I have mixed in with the few new bits I mentioned buying in Primark . This is pic heavy so apologies in advance! First up is this lilac marl effect mullet cut top £6 which is lovely and lightweight and great for layering. 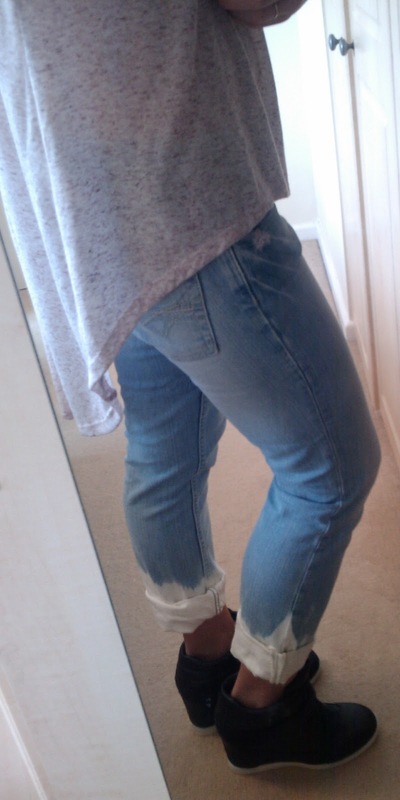 Outfit 1 is with a old pair of River Island jeans that I dip dyed in the summer, Topshop necklace and the new Primark trainer wedges that are almost identical to the ASH version but at only £18! Outfit 2 is with my Topshop jamie jeans, these are great for holding in a mum tum! 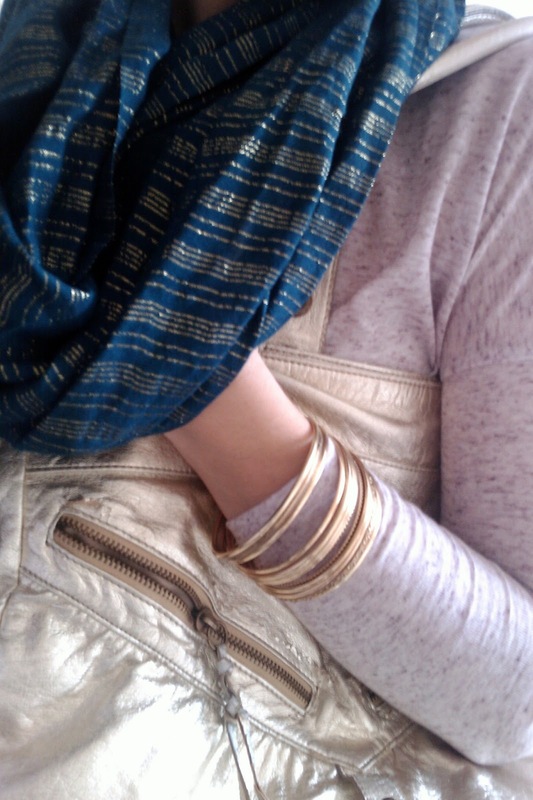 This scarf is from Topshop and the Primark wedges again. The Topshop lightweight jacket I picked up for about £8 on good old eBay last year. Goes with pretty much everything and it's a bit different to the more fitted style that are everywhere right now. 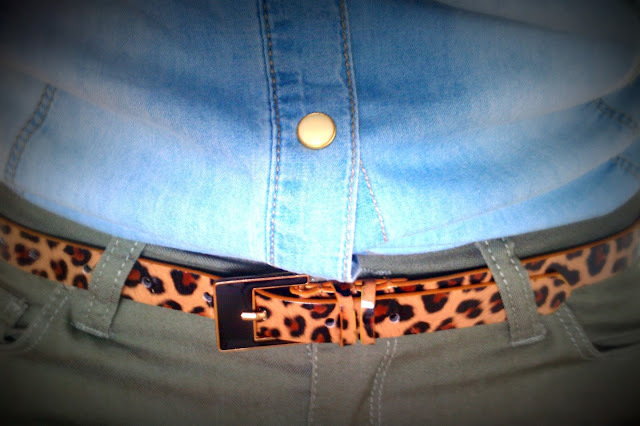 Next up is the Khaki skinny jeans reduced to £7.90 right now which is a bargain and the fit is good on me. They had lots of different colours so worth looking at. 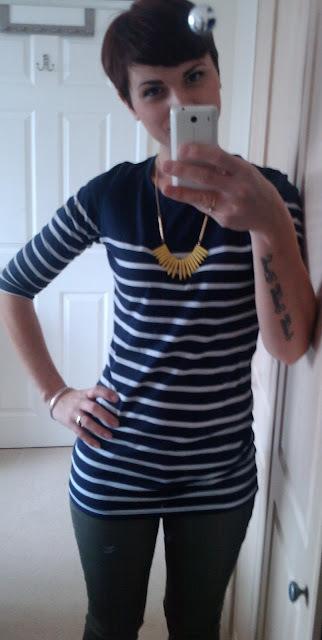 I really like navy and khaki so have worn it here with my breton top that I bought about 3 years back in New Look (yellow New Look necklace of course) and then added my new Primark camouflage scarf. 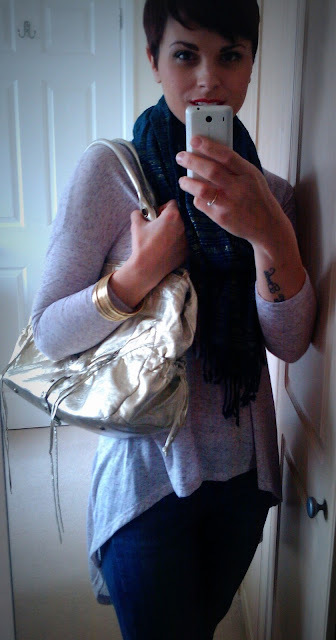 I have been hankering after a camouflage scarf since checking out Helen's blog over on coco mama style, so I was happy with this £4 cheat. Next up is my new denim shirt, I have been umming and ahhhing over a exact style in New Look. The only difference I can tell is that this one is only £10! The belt is from Next and the necklace from New Look. Apologies on the creases, I didn't have the time to iron it from the bag! 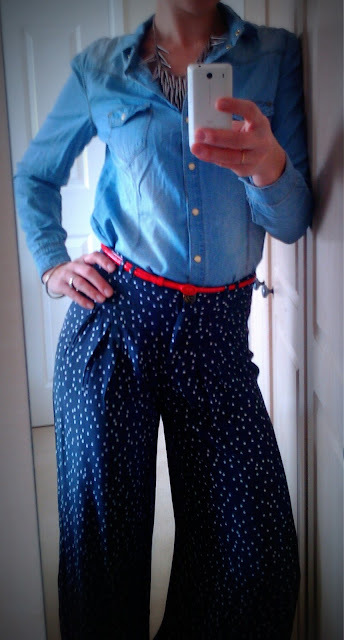 Just wanted to show the shirt with my wide leg spotty trousers also from Primark but from last year not this year! So retro! 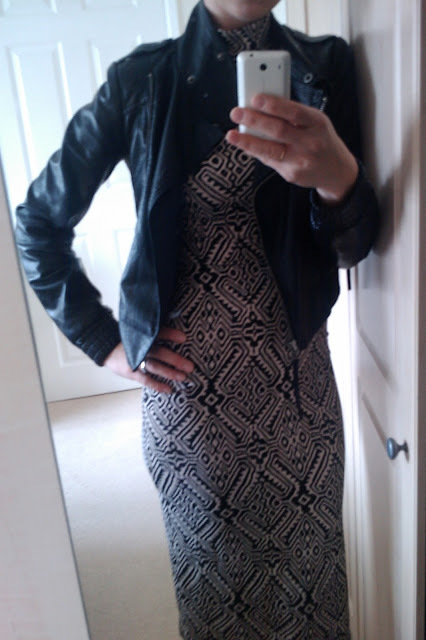 Last up is a midi dress. 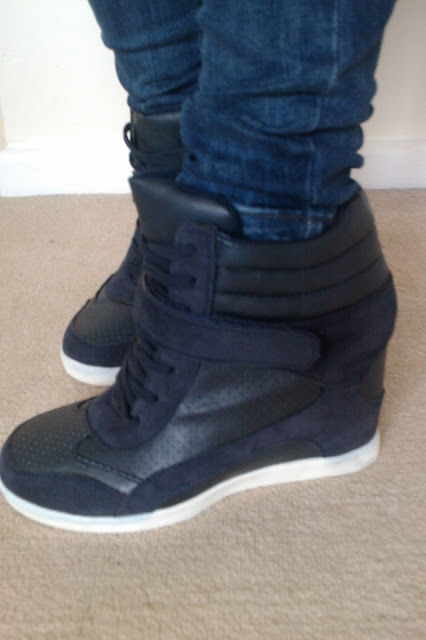 I have a thing for these right now this is my 3rd, Primark have quite a choice if you don't want to pay Topshop prices. This one is a sleeveless jobby and only £10, I had a Topshop vest style aztec dress last year that I sold as it was quite see through. This Primark one is a thicker material so happy to wear it without tights and not have my booty on show. The boots are from New Look pretty recently and then the faux leather jacket is Topshop, a £10 eBay bargain! Below I have dressed it up a bit however dressed down with sandals and a denim jacket or converse it would be a much more casual option. I also had bought a pink jumper but I didn't like it when I got home so that's going back! Leaving it at that now as this was pic HEAVY! 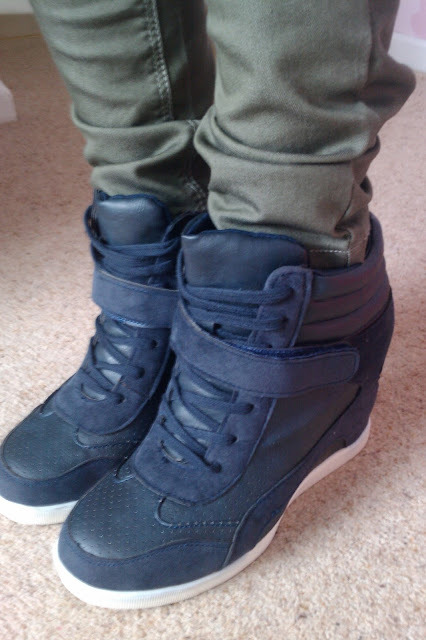 Some great buys Hollie, are those trainers navy or black? They're amazing for the price. 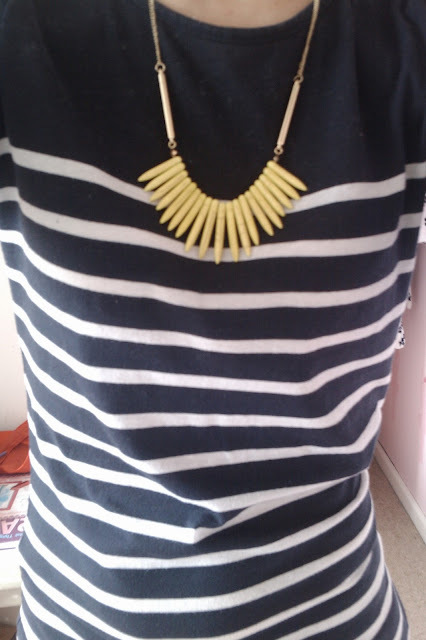 Love that new look spikey necklace too. That midi dress looks amazing on you!!! Oh I love seeing people's hauls. I saw the navy wedges but I don't need another pair right now - need to wear the pair I've got - when I remember. I love the Aztec dress on you but it works on you because of your age and your figure - I shudder at the thought of having to squeeze into anything so body con these days. You need to give me a lesson on makeup - you always look impeccable. Thankyou Sue. I wore the trainers with chinos today and a jumper. Happy with my bargain! May team the dress with uggs.... maybe. I love make up! I will have to blog on it soon. Loving that top from primark, did they have it in other colours? Hiya! Yes they had in other colours can't remember them all but def white and grey. I dipped jeans in bucket of bleach!